While Sufjan will release his first studio album since 2010 this March, ahead of that he’s premiering a new piece called Round-Up at BAM which runs from tonight through Sunday (1/25). 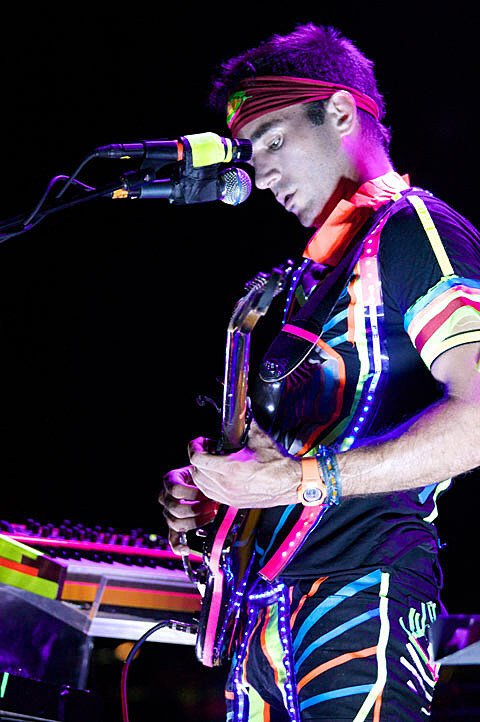 Sufjan will be on electronics and new-music ensemble is on piano and percussion. Witty, thoughtful songwriter Jeffrey Lewis plays his NYC hometown regularly but tonight is his only “full band show of the season” which also doubles as a release show for his new issue of Fluff. Heavy on vibe and atmospherics, Nick Hakim’s music dips into James Blake-ish territory sometimes but he’s got his own sound. Tonight is the third show of his January residency at Mercury Lounge. The great Paul Simon leads this lineup of musicians and other unannounced guests who all come together tonight to raise money for cancer research at Columbia University Medical Center. The show is in honor of the memory of saxophonist Michael Brecker, who’s performed with both Paul Simon and James Taylor, and many others. Tonight’s edition of Hot 97’s ‘Who’s Next’ shows at SOB’s features an all-NJ lineup, including Fetty Wap (the man behind “Trap Queen”) and Mad Decent associate Dougie F.